I miss those summer lotions and potions. The ones which smell of holidays and fruity cocktails which transport you to the Caribbean if you cant make it there at that current moment. But alas we are in September, the beginning of autumn, meaning cold, short nights lacking in vitamin SUNSHINE. However, N-Spa have magically heard my woes and through searching for a comforting holiday scent I found my ultimate body moisturiser. 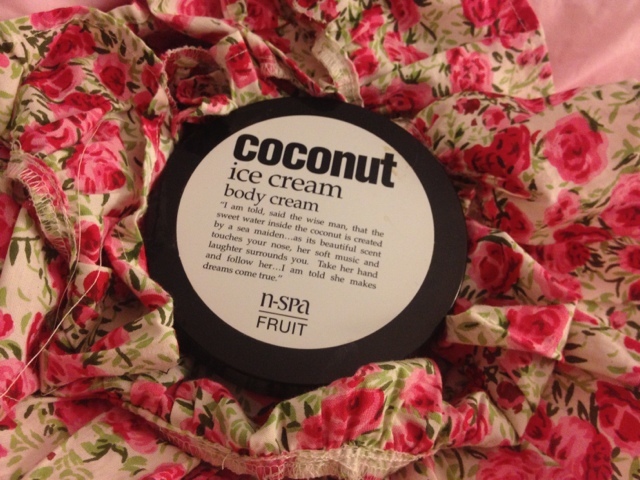 Coconut Ice Cream Body Cream. For starters the smell is amazing, like my own little piece of Bora Bora specially delivered to my humble bath room. 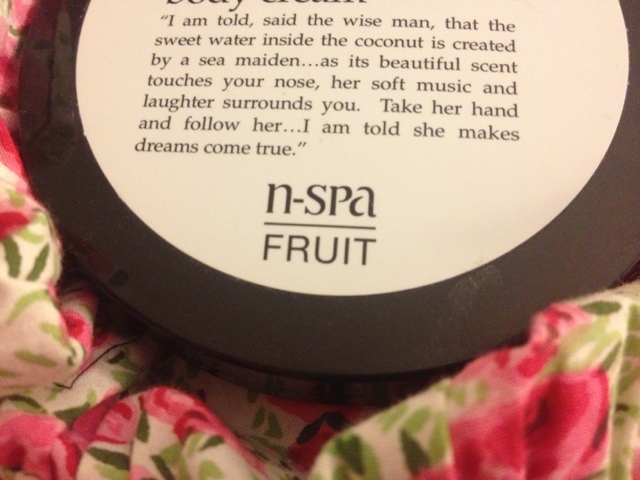 N-Spa never ceases to amaze me with their wonderful smelling exotic nourishing body lotions and face products. Now if you thought this product was just a 'ah that smells nice but I cant see such a difference in my skin' you would be quite wrong. 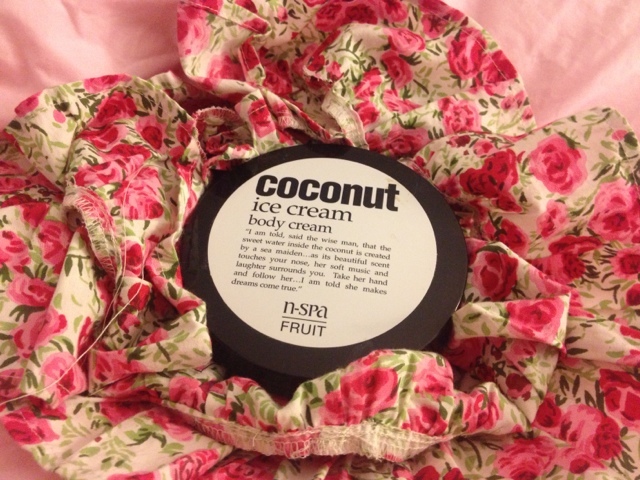 When applying this after the shower my skin feels nourished and is silky smooth to the touch. A miracle cream really. 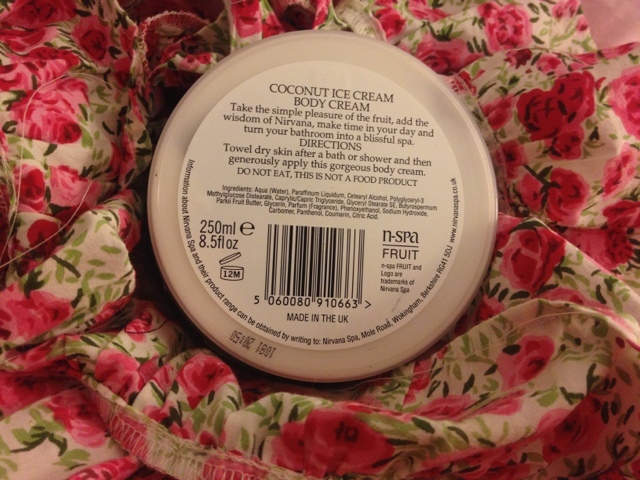 It smells amazing and actually works to keep my skin looking on top form throughout these summer September days. No more dry legs after shaving! What is truly amazing about this product is that, unlike most moisturisers the smell does not fade after a while. Indeed, after 8 hours of working I can still smell the tropical wonder lotion on my skin. So thank you N-Spa for my little piece of luxury this September.